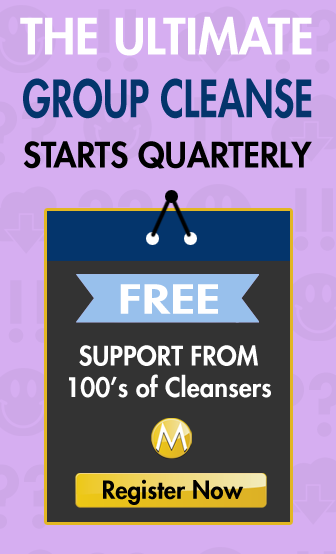 What should I use for Master Cleanse Water? The short answer for the question of the best Master Cleanse Water is the purest you can find. 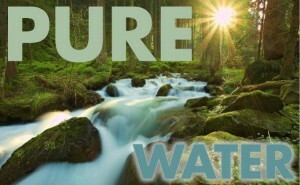 Now that begs the question, what is pure water, and how do I get it? And so now for the long(er) answer. Pure Water isn’t essential to The Master Cleanse, but the reason we would want Pure Water for our cleanse is the same reason we want to cleanse in the first place: Toxins. Why would we spend 2 weeks of effort, trials and tribulations to rid ourselves of toxins, only to consume them in water? The problem is: who really knows what’s in our water? I mean, I don’t have a water tester (although I am going to get one). Do you have one? What about a filter? What elements do I want to remove from water, and what do I want to keep (or replace, if you removed them already). The purest most powerful form of water has done 2 things: Travelled through the purest environment on earth, taking on surrounding qualities, minerals etc and has experienced the least amount of processing, touching, manipulation by (unconscious) human beings. The former adds to the value of the water. As water passes along rocks of all composition, it picks up minerals along the way. Same to for the organic material, and even the sunshine. Water is “charged” by this process, making it vitalized. There is even some evidence that the universal uniqueness of water to exist as a liquid, gas, and solid provides it the ability to take shapes that reflect the environment, and even potentially “remember” the environments it's exposed to. This is what makes pure water. Start fresh from a naturally filtered process of evaporation into a rain cloud, storming on a mountain range and adding value as it streams along the natural, organic earth. So naturally, we don't want to ruin this process, by forcing it through pipes, adding chemical toxins like chlorine, and flouride, and then packaged into plastic, shipped and stored with as much love as a meat packing plant or steel smelting plant. So where do we find sources of Pure Water? Water that is rich in vitamins and has no added viruses, bacteria or drugs? Here is my definition of ideal water: Water that is free from chemicals, that has a pH Level of 7.0, and carries with it a naturally balance of trace minerals. Like all the ingredients for the cleanse, the most pure choice is the best choice. Alkaline water would be mine. Read more about that here. Tap water is full of chemicals, so find a nice filtered water source. Tap Water: Tap water is often very good quality, except that it is often chlorinated or fluoridated. Now there are also many man-made chemicals in our water supply. Bottled Water: Bottled water is really, for the most part, shameful. The quality is no better than tap water but sold at ridiculous prices. It’s bad for the environment and really something we need to change. Filtered Water has had impurities removed through a variety of processes. There are many different kinds of filters ranging from devices that attach to our sink faucets, counter top water filters, and whole house water filters. The primary focus of a filter is to remove impurities such as: Parasites, Chlorine, Fluoride, Dioxins, Nitrates, Chlorine, Lead, Copper, Aluminum, Pesticides, Anti-Biotics, Prescription Drug Compounds and others. Water is passed through materials such as carbon to remove substances. Filters have different sizes 0.01 microns are the size of the smallest viruses. Most robust filters are 0.02 microns. Many basic filters don’t remove nearly all contaminants. Purified Water: Another way to say filtered water. Water isolated from other substances. Is there such thing as TOO Pure Water? Distilled Water: Distillation is the process in which water is boiled, evaporated and the vapour condensed. Stanley Burroughs calls distilled water “cooked,” or devitalized. Ionized Water: Water is passed through systems to create a similar effect to what happens to water when it passes over rocks in a stream. The nature of this type of water is said to be alkalizing to the body. Most agree that an alkaline body is a healthy body. Alkaline Water: Another name for Ionized water. The two terms are synonymous. Kangen Water: A marketing term by a company called Enagic to brand their Water Ionizers — no better or worse that most of their competitors. Great Marketing. Ozonated Water: Water that has an extra atom of oxygen, said to have healing potential. Mineral Water: Water containing minerals or other dissolved substances that alter its taste or give it therapeutic value. Demineralized Water: Water that has had its minerals removed through any process. Deionized Water: Water that has had its minerals removed through a process called deionization. Reverse Osmosis Water: is a water purification technology that uses a semipermeable membrane and can remove many types of molecules and ions from water. Soft Water: Water that contains little or no calcium or magnesium metal. The term is usually related to hard water, which does contain significant amounts of these ions. Demineralized water is said to be soft. Acidic Water. Hard Water: high mineral content — mainly calcium and magnesium ions. Alkaline Water. I bought the co2 water filter from the video u mentioned, can I use tap water as long as I filter with the water filter I got from amazon? Can you use distilled water? Is Deer Park okay? i feel stupid for asking but….